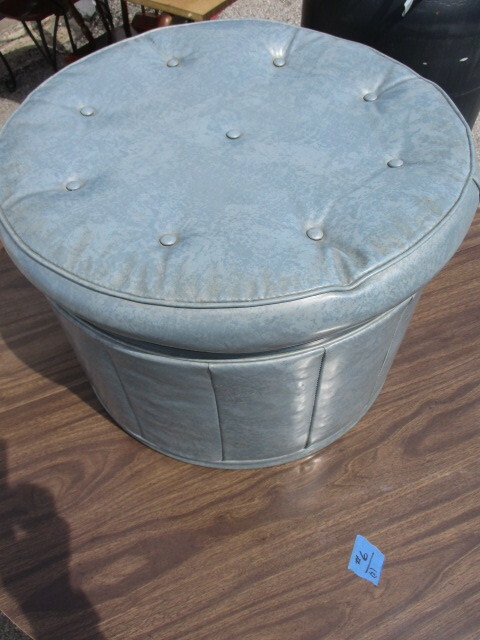 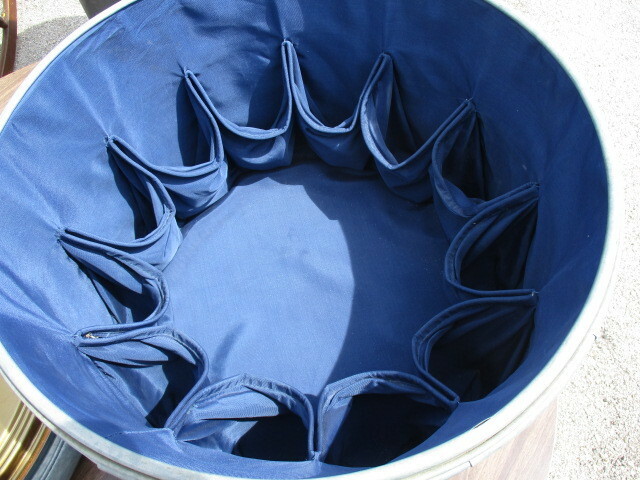 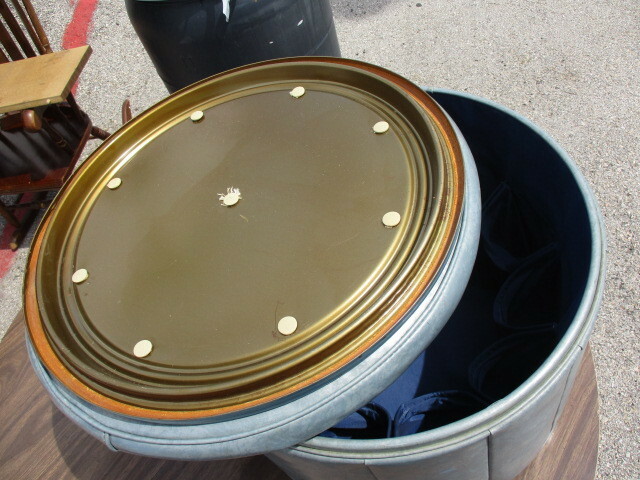 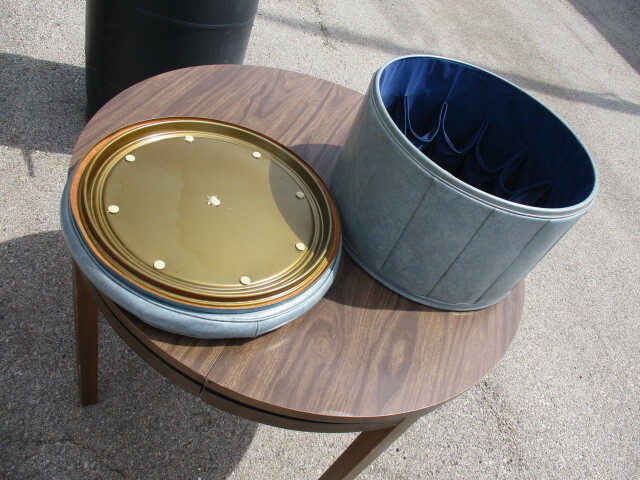 Vintage Round Blue Leather Hidden Shoe/Bottle Storage Ottoman. 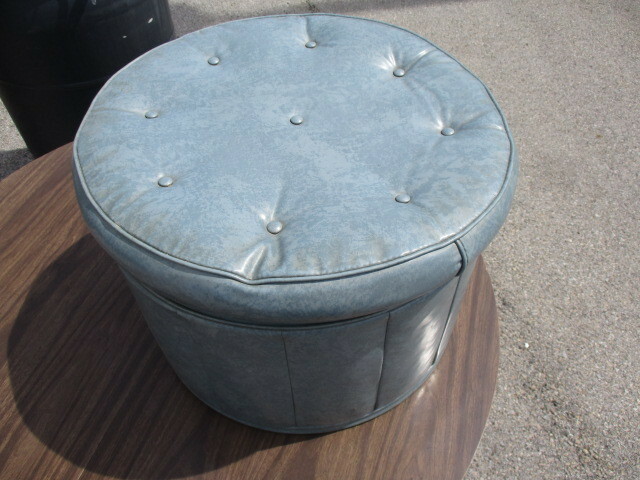 Vintage Round Blue Leather Hidden Shoe/Bottle Storage Ottoman. 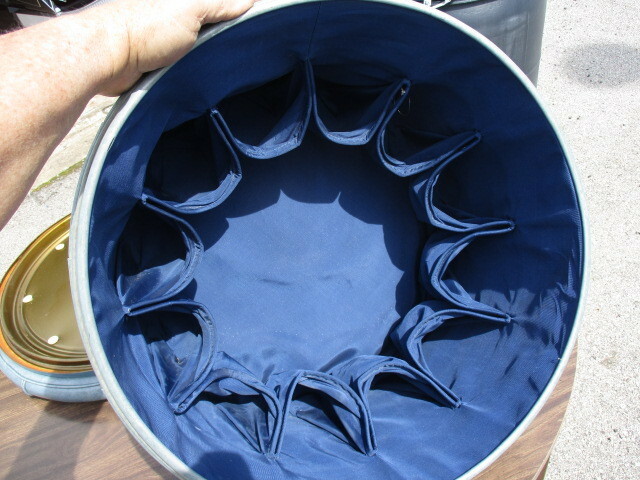 Features 12-separte hidden compartments with center storage space. 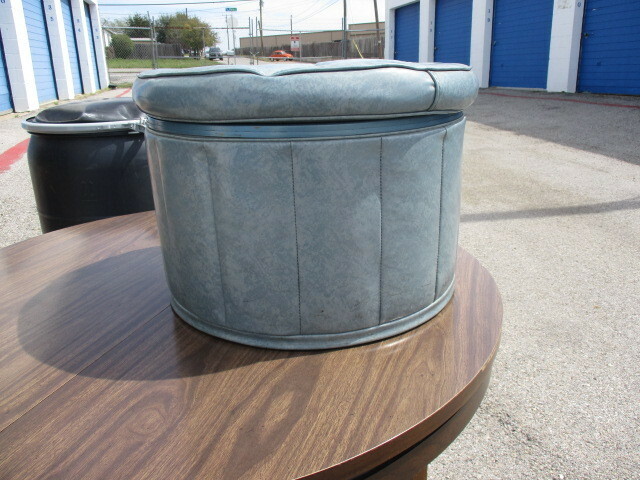 Just pull the removable top off the ottoman.